Having disposed of Championship side Brighton in the last round, National League leaders Lincoln City will more than likely have felt a tad disappointed not to have been paired with giants Manchester United or Chelsea, for example. However, a trip to Premier League opposition Burnley will suffice nonetheless. The Imps have flourished under boss Danny Cowley, who has only been in the role for nine months, and play with a freedom which has worked wonders so far in the competition this season. They blew away another Championship side in Ipswich despite being taken to a replay. A five-year absence from the Football League has made promotion the club’s number one priority this term, a goal they remain on course to achieve. The FA Cup, however, has been a welcome distraction which shows little sign of derailing their title bid. Victory at Turf Moor tomorrow would see the club reach the quarter-final of the FA Cup for the first time in their 133-year history. 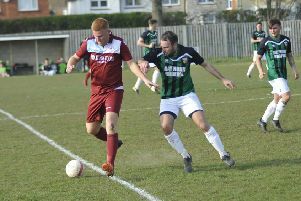 Opponents Burnley, meanwhile, in addition to Arsenal who make the short journey to Sutton United, have been handed a favourable draw against non-league opposition. On paper the Clarets would appear a safe bet to progress but manager, Sean Dyche won’t be taking Lincoln lightly. Last Sunday’s 1-1 stalemate with Premier League leaders Chelsea is sure to provide a real boost ahead of the match – with Robbie Brady also on target in what was his full debut since making the switch from Norwich City last month. Burnley will look for an early goal to settle any nerves, Lincoln, on the other hand, will be determined not to concede within the first 15 or 20 minutes. The longer the game goes without a goal, the more the tie is likely to play into the visitors’ hands. Hosts Huddersfield have every reason to be optimistic of overcoming Pep Guardiola’s men and securing their place in the last eight of this season’s FA Cup. Manager David Wagner is working wonders in West Yorkshire, with just one defeat from their last 14 matches in all competitions. The Terriers are flying high in the Championship too, only six points adrift of the automatic promotion places in third spot. On loan Chelsea striker Izzy Brown is in a rich vein of goalscoring form and he could be a real handful for the City defence. The Premier League outfit, though, have steadied the ship since conceding four to Everton last month and appear to have rediscovered some form just at the right time. This has all the ingredients to be the tie of the round. A real cracker awaits. League One outfit Oxford have done remarkably well just to reach the last 16. Can they go one better? They’ll certainly feel that in Premier League strugglers Middlesbrough there’s every reason to believe they can. The U’s are faring well in the third tier, four points off the promotion play-off zone and are a difficult nut to crack. Victory over Championship leaders Newcastle in the last round has given them the ideal platform. Boro’s priority this season is to retain their top-flight status for next term. Aitor Karanka may see this is a game they could do without. Wolves caused a stir in the last round in defeating Liverpool, but are likely to face a different animal in Chelsea tomorrow. The Molineux side are progressing well under Paul Lambert, who was appointed manager in November – although back-to-back defeats to Burton Albion and Newcastle United this month have reinforced the precarious position the club find themselves in at the lower echelons of the Championship table. Chelsea boss Antonio Conte has hit the ground running with his side pretty much all season, top of the Premier League and a squad brimming with confidence. The Stamford Bridge men were far from their best however in the 1-1 draw with Burnley last weekend, but Conte will be hoping that was no more than a minor blip. The FA Cup certainly isn’t the club’s utmost priority, but Conte would love nothing more than to win a league and cup double this term. The pressure continues to grow on Leicester City boss Claudio Ranieri whose side were beaten 2-0 by Swansea last weekend – a result that sees them remain just a point above the relegation zone. The Foxes are the only side in the top four divisions in England without a league goal in 2017. Tomorrow’s fixture is an unwelcome distraction for the Premier League champions if the truth be told. It’s a game they could really do without. They received worldwide plaudits for their achievements last season – they don’t want the complete opposite this term should they suffer the unthinkable. Millwall will be tough opponents to crack with a raucous Den behind them. This is what the FA Cup is all about. Sutton United of the National League being handed a lucrative last-16 clash at home to London rivals and 12-time winners, Arsenal. The Gunners, now in desperate search of form, won’t see the romance in the tie however, and will be eager to see the job through with minimum fuss. Easier said than done. Leeds United were victims to the Sutton juggernaut in the last round, and Arsene Wenger would be a foolish man to write off his side’s opponents. It would surely rank as Arsenal’s worst-ever result should they succumb to Sutton United. Similarly to the other top Premier League clubs, the FA Cup has now gone up in Arsenal’s estimations given the form of league leaders Chelsea. Sutton fans will no doubt be dreaming of an upset of any kind. A replay at the Emirates is another real incentive for a group of players who must still think they’re in dreamland. A wonderful night beckons. It doesn’t seem so long ago that this was once a regular Premier League encounter. Fulham’s drop to the Championship means these two old London clubs have the opportunity to renew their rivalry at Craven Cottage on Sunday. Fulham are in the midst of embarking on a late push for the play-offs and a win over Spurs could provide the launch-pad to cement their place in the top six. With Chelsea ten points better off than Mauricio Pochettino’s men at the top, the FA Cup looks Tottenham’s best bet for silverware this season – a trophy they haven’t won for 26 years. They are also into the last 32 of the Europa League. Spurs will be desperate to bounce back from last weekend’s 2-0 defeat at Liverpool and clinch a place in the last eight for the first time in five years. Struggling Blackburn’s focus is on preserving their Championship status for next season. With the visit of old foes Manchester United to Ewood Park, it’s effectively a free game for Rovers and one they can approach without any fear or trepidation. Manchester United supporters, meanwhile, will expect their side to progress with relative ease. Jose Mourinho’s men have hit form lately and they should have enough firepower to see off any threat Rovers may pose. Expect both managers to make changes for this last-16 clash in Lancashire. United are the current holders and will be desperate to keep hold of the trophy.